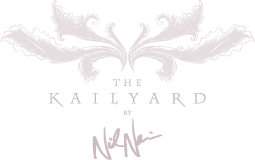 The Kailyard by Nick Nairn showcases the style and essence of one of Scotland´s most renowned chefs in the beautiful surroundings of the Doubletree by Hilton Dunblane Hydro. It holds true to Nick´s philosophy on food; simple but stunning dishes, created with passion and served with total attention to detail in an environment that's both stylish and welcoming. So come along and try our fantastic new menus for yourself. 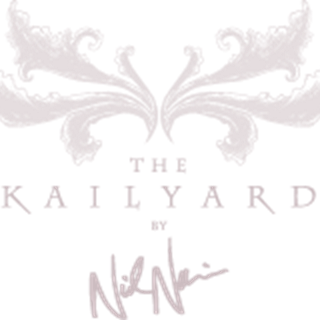 Please note we do not serve lunch in The Kailyard by Nick Nairn. Guests looking to dine during the day may enjoy the menu served in our bars and lounges. FAMILY POLICY: Kids 5 and under eat free. Kids 6-12: breakfast £7.95, dinner £9.95 from children’s menu. Adult dining rates apply for kids 13+. Children’s dining fees apply regardless of room package selected for adults. We thoroughly enjoyed our meals but were extremely disappointed to see the cheeseboard described as British, and wondered why Scottish cheeses were not on the menu? When we enquired as to what was on it, the waitress had to go and ask. The two hard cheeses were not that tasty and it’s such a shame to not have Scottish cheeses - especially given the pride in putting provenance of other ingredients on the menu. I am sure Nick Nairn could find some excellent Scottish dairies! The mashed potato had a film on the top as though it wasn't freshly put out. Two of us asked for extra brie with the cheese & oatcakes as we don't like blue cheese. Came with extra cheddar. Waiter said he put through what we asked for. He then had to get us extra brie. A little disappointed to be honest. Best dining I’ve had for a long time, coming from London! Excellent service and food, would definitely return. The furniture in the dining room is starting to look a bit faded. The food was excellent, but the halibut could have done with a bit more sauce. We had a relaxing and quality time. Four out of our group of 5 were very disapoi nted with rib eye steak. Not cooked to our request. Chips were overcooked too. Coffee was mixed up and the one decaf order couldn't be identified by person serving. We expected .much better than this. Starter and sweets were good. Only the main course disappointed. My husband and I both had the Nick Nairn burger and the Only one thing I would suggest is I would have liked it to have a side salad with a dressing as we both found it a bit dry. Food was very good as normal and all the staff in the restaurant were very nice. Food is pricey for some things. For example, there’s a cheese burger that is part of the 2 course £24.95 menu - making it around £19-£20. It’s served with no garnish other than a dish of chips; tasty but... The pork in our dish was over cooked therefore dry. The chicken dishes were decent enough. Service was very efficient, friendly and polite. Atmosphere is difficult to assess. We were in the conservatory which is nice but dining early meant few other people. Amazing service and food. Great experience. As in previous years of visiting lovely food and very attentive staff. Highly recommend. Very good service as always food excellent. Our waiter Chris was very good. Very much enjoyed our meal at the Kailyard and would recommend. The goats cheese salad was lovely but far too small. Excellent service by staff. Food was perfection. Staff were very friendly nothing was a problem. The atmosphere in room was lovely. Don’t change a thing it was perfect! Excellent menu, quality of food was very good. Choice was very good, although perhaps one more vegetarian main would be good. Very comfortable restaurant with plenty of space between tables. Food was excellent and well presented. Have thoroughly enjoyed our dinner. Food sooo good! Great service and lovely atmosphere. Many thanks for a lovely  few days.